Business success depends on the decisions and actions of the individuals within the organization. Decisions based in fear, protection and survival create limited, short-term, and often, negative results. To achieve long-term sustained success, decisions and actions must be based on conscious leadership – using the proven track record of the wisdom and principles found in nature – resiliency, adaptation, collaboration, and growth management. In this highly experiential three-day workshop, participants will learn an accelerated method for changing the underlying subconscious influences on their decisions and actions and aligning them with new supportive beliefs thus producing positive long lasting results. Harvard Professor Robert Kegan has shown how commitments to subconscious beliefs can override one’s stated intentions to the degree of sacrificing one’s health. This conflict between long-held subconscious commitments and conscious intention lies at the heart of most organizational dysfunction and under-performance. 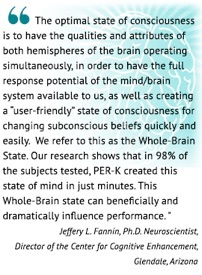 Neuroscience has confirmed that a “whole brain” state can align the subconscious with the conscious, left and right brains, and liberate people from past programming that limit and interfere with highly-effective functioning. Attend with others and save even more! 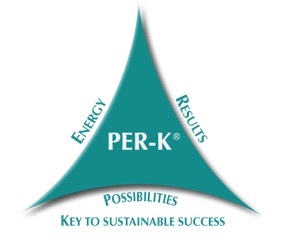 “The great breakthrough came when I started applying PER-K® with the managers in my coaching practice. Those were strong personalities, operations ‘whiz kids’ and members of management who had already done and seen so much. At least that is what they said. However, they kept bumping into limiting beliefs, which made their life and work very difficult. “Like the sales manager who just recovered from burn-out. He was very much aware of his own limiting motivation ‘perfectionism’, but he did not know how to deal with it. By balancing this belief into a quality and talent instead of a pitfall, his attitude has strongly changed. Now he constantly is helping his colleagues to see and let go of their own perfectionism. Robin Graham is a certified instructor and practitioner in behavioral performance. In 1997 she became one of the first instructors in the world to be certified for the PER-K® accelerated change process and now holds the title of International Director of PER-K®, providing workshops and certifications for organizational leaders around the world. She has trained and presented internationally to audiences ranging from small groups to large conferences. 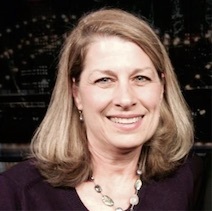 Robin is also a Certified Facilitator of Brian Tracy International’s Training Processes and Systems, TTI Performance Systems as a TriMetrix Analyst, Professional Behavioral Analyst, Attribute Index Analyst, and Professional Values Analyst. She is a recipient of the TTI President’s Award for Outstanding Contributions to HR Development. 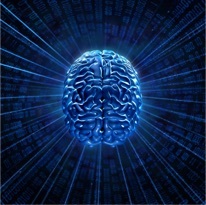 Once the possibility and practicality of changing our subconscious beliefs is established, it becomes clear that we are no longer trapped by the automatic mindsets of our past experiences, which often drive self-limiting and self-defeating behavior. Instead, we are free to change our perceptions and beliefs in order to create new mindsets and behavior that will generate new results in our business and personal lives. Freed from the limitations of past “programming,” we are able to move to a higher order of consideration of what is worth changing, in order to create sustainable success, both personally and professionally.